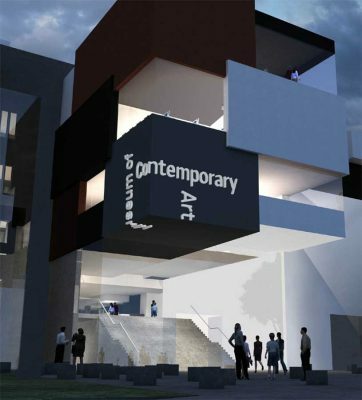 Following a major AUD$53 million redevelopment, the Museum of Contemporary Art, Sydney will reopen in March 2012 as a bold, new and significantly expanded Museum. The opening of the new MCA promises to be a highlight on the international art calendar, as the Museum is transformed into a major cultural centre for contemporary art and education. Commencing in August 2010, the redevelopment is by Sydney architect Sam Marshall in partnership with the New South Wales Government Architect. It will create an additional 4,500 square metres, increasing the MCA’s total size by almost 50 per cent. In addition to building three spacious new galleries, the building program will involve a complete refurbishment of existing facilities. The new Museum will house an entire floor dedicated to the MCA Collection, offering a major national resource for education and interpretative programs. The National Centre for Creative Learning (NCCL) is one of the most significant highlights of the upgrade, created to complement the Museum’s commitment to innovation and its role as a leader in art education. The NCCL features a dedicated multimedia room and digital classroom, two practical studios, a 120-seat lecture theatre and a room for the MCA’s Bella program for children with special needs. Using unique learning programs and the latest technology, the Centre will connect with classrooms across Australia and the world to engage people with art through seamless accessibility. New venue spaces will also be added on top of the existing building to take advantage of the MCA’s stunning location with spectacular views over Sydney Harbour to the Opera House. The redevelopment will create a new rooftop café and Sculpture Terrace, featuring an annually commissioned artwork. This expansion directly responds to the MCA’s growing audience – which reached over 580,000 in 2010 and has increased five-fold in the last decade. According to MCA Director, Elizabeth Ann Macgregor: ‘This expansion will cement the MCA’s role as a locally loved and internationally renowned contemporary art museum, which supports and promotes Australian artists alongside their international peers. Our commitment to education comes from our belief that creativity and education in the arts are the critical building blocks for a dynamic community’. The MCA is also delighted to announce four new commissions by Australian artists, two of which will change annually. The Australian representative for the International Art Exhibition of the 2011 Venice Biennale, Hany Armanious, will create the first work for the new Sculpture Terrace. Additionally, Emily Floyd will create the first sensory environment for the MCA’s Bella Room and Brook Andrew will install a permanent work which responds to the colonial naval dock remains underneath the new extension. Finally, Grant Stevens will create a video for the new foyer, featuring names of building donors. The MCA is the only museum in Australia dedicated to exhibiting and collecting contemporary art. 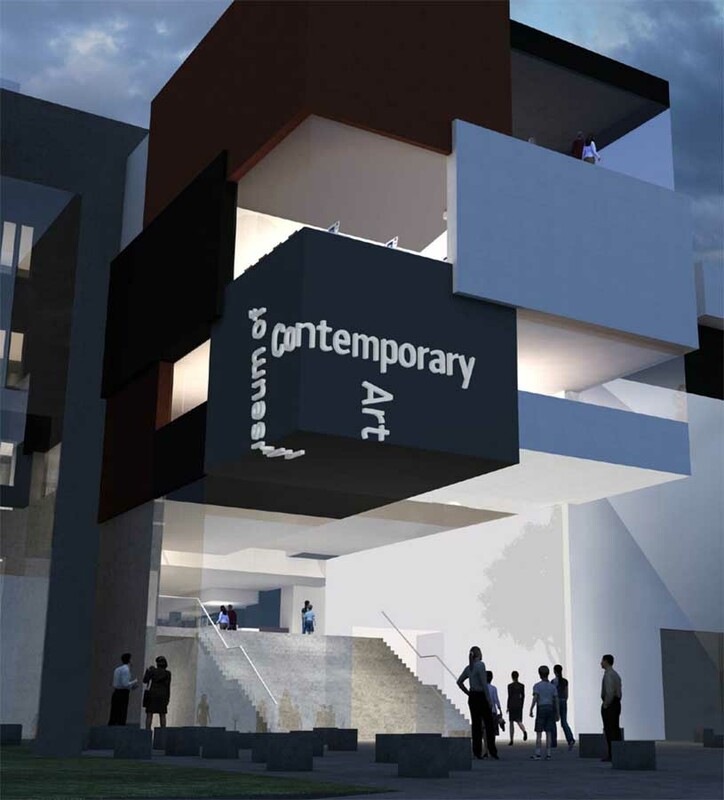 In March 2012, the Museum will open Collection Volume 1, which presents a narrative of contemporary Australian art over two floors. This new exhibition will reflect the changes and currents of Australian contemporary art and cultural life over the past 20 years. These trends include the dynamic interplay between Indigenous and non-Indigenous artists; the consolidation of film and video practice from a marginal to central position; the emergence of diverse cultural voices; as well as ephemeral and performative practices. It will also include references to the MCA’s exhibition and collecting history. Selected by MCA Curator Glenn Barkley, Collection Volume 1 draws upon iconic and well-known works; surprising pieces from the Museum’s extensive collection of Australian art in all media, as well as new acquisitions. The presentation will be centred on specific themes, for example portraiture and abstraction, or ideas of medium and materiality, such as light. Other groupings explore broader ideas such as mythology, landscape or movement. Running concurrently, Marking Time will explore the ways in which artists visualise time and its passing, across diverse media – drawing and watercolour, sculpture and installation, sound and light. An international exhibition selected by MCA Senior Curator Rachel Kent, Marking Time will present major works by eleven artists from Australia, Brazil, Ireland, Italy, Japan, and the United States in the Museum’s spacious new top floor galleries. Some works will be realised during the course of the exhibition, others require viewer participation, and several spill into public spaces beyond the Museum. Marking Time artists will be announced in September 2011. The MCA redevelopment has been made possible as a result of public and private sector support. The Federal Government and the NSW State Government have contributed $13 million each. The MCA’s Chairman, Simon Mordant, and his family have pledged $15 million, in recognition of which the extension will be named the Mordant Wing. The City of Sydney has contributed $1 million and nearly $9 million has been pledged by private donors. The MCA has just launched a campaign to raise the final $2 million.